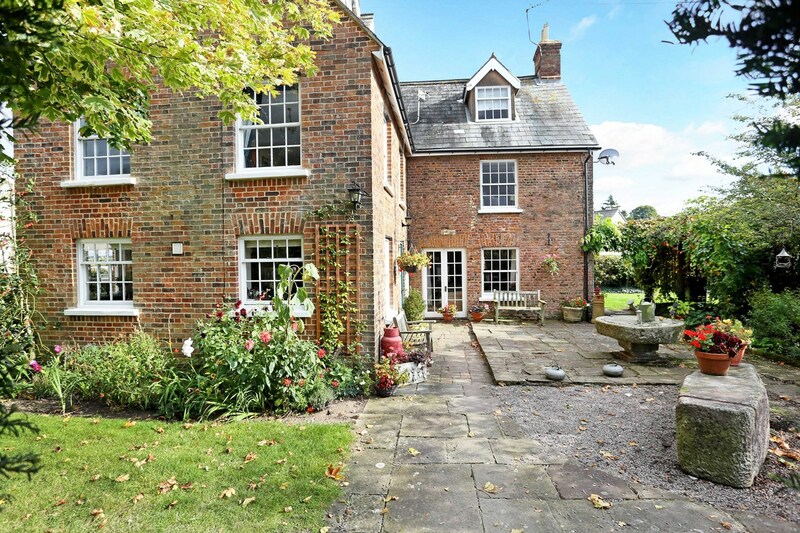 A stunning four bedroom detached property in an idyllic location sitting in grounds of approx. 1 acre. The property also has the potential (with little alteration) of a one bedroom annexe. 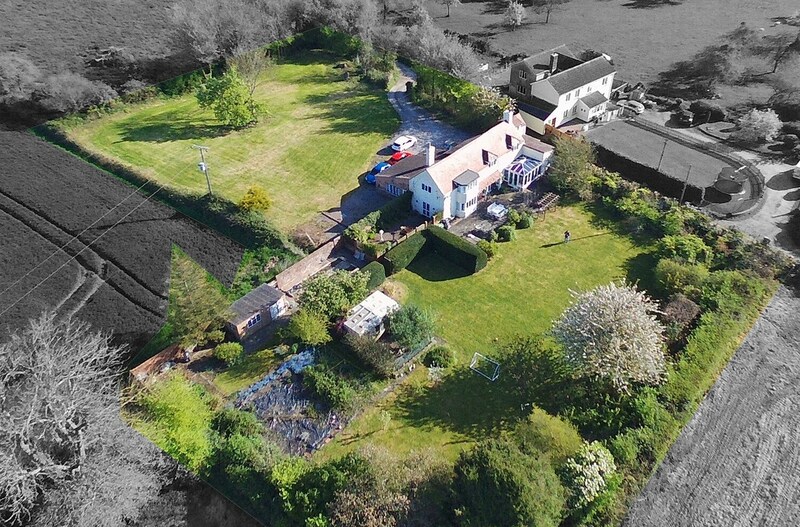 The property can be found along a no through lane in this extremely popular rural thriving hamlet of Awre. Surrounded by open countryside which provides a glorious yet different outlook from all windows not forgetting the river views that can also be enjoyed. The property affords beautifully appointed, spacious and light accommodation. To the ground floor the accommodation comprises of entrance hallway which opens into a lovely morning room with French doors into the rear garden and is the perfect room to sit and relax with a coffee and the morning papers. On through is the dining room which opens into a magnificent conservatory which due to the flow of the property really floods the dining room and kitchen/breakfast room with natural light. The kitchen/breakfast room is an extension to the original cottage and is fitted with modern style units and this part of the property with the dining room, conservatory and kitchen/breakfast room are the hub of this beautiful home. The formal lounge has feature fireplace with wood burner inset, exposed stone walls and a glorious walk in bay window overlooking the garden. An inner hallway gives access to the downstairs cloakroom, utility room, bedroom four and internal door to the garage. This is the area that could be simply adjusted to provide a self-contained annexe if required. To the first floor is a landing with doors leading off to the three first floor bedrooms all of which benefit from en-suite bath or shower rooms. The master bedroom has a bay window mirroring that of the lounge, which gives views of the surrounding countryside and River Severn. A further side window shows how the views change with a completely different, yet as stunning outlook. To the front a driveway gives access to the garage and provides ample off-road parking for numerous vehicles. Sitting in grounds of approx. 1 acre there are various areas to be enjoyed. The main patio area is the perfect spot for those summer Al-Fresco evenings. There is also a vegetable garden and the current vendors keep chickens should this be of interest to the future owner. 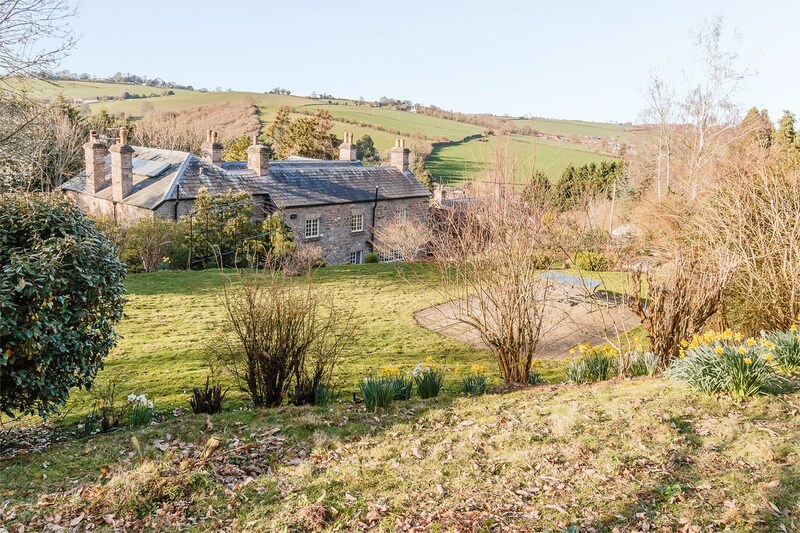 There is simply far too much on offer to be described in one set of property particulars and we feel the only way this property can be fully appreciated would be in person. Awre is approximately six miles from the market town of Lydney which has a large range of amenities which include supermarkets, banks, public houses, primary and secondary schools etc. The Severn crossings and M4 towards Bristol, London and Cardiff are easily reached from this area along with the cities of Gloucester and Cheltenham for access onto the M5 and the Midlands. Lydney and Gloucester also benefit from train stations giving excellent access throughout the Country. From the Lydney proceed along the A48 going towards Gloucester. Upon leaving the village of Blakney, passing the wood works on the right, take the next turning right signposted Awre. Proceed to the centre of the village and at the stone monument, take the turning right into Woodend Lane, and the property can be found along on the right hand side. 24' 10" x 11' 10" (7.57m x 3.61m) max. 21' 2" x 19' 4" (6.45m x 5.89m) including dressing room.